This is our main page for Sloto' Cash Casino, dedicated solely to this operator, where you can find all relevant informations in one place. You can quickly and easily overview all the content we have on Sloto' Cash. Links to our Sloto' Cash bonus page are on the left below. You can always find up-to-date informations on the current bonus offers and promotions there. This bonus description is very detailed and provides a full walkthrough of the various bonuses offered. Below that you can find a link to our full review of Sloto' Cash Casino where you can learn about our experience and impressions gained there. Being the most thorough review it covers themes such as the software and games offered, the bonuses, banking options, loyalty programme informations, security and certifications, customer support as well as a summary with a rating. All our blog content, including all blog posts ever posted on Sloto' Cash are to be found below these, arranged in a chronological order. Any news or updates regarding promos or bonuses, including free spins, tournaments and other seasonal or special offers from the past can be found there. You can check this page at any time to see if something new came out on Sloto' Cash. Alternatively, you can subscribe directly either to our email newsletter or RSS feed. Sloto’Cash Casino was witness to and supplier of a true magic jackpot hand this month! Gail F. from Alaska hit a massive $80,075.27 jackpot with an outstanding Royal Flush hand playing Caribbean Draw Poker! We would like to take the chance to congratulate Gail for her lucky hand! Sloto’Cash Casino has been in touch with her and she is amazingly happy and astonished with her luck as this was the 8th hand she played in the session with her first deposit ever at Sloto’Cash. A $220 deposit became $80k+ in just seconds, as amazing as it sounds! 1./ What was your reaction when you heard you were a progressive jackpot winner? The reality of playing SlotoCash Casino was that you can win! Until then just an electronic game. Life can be very good!!! 2./ Do you have any plans on how to spend and enjoy all that money? We now offer an exclusive $14 Free, no deposit required bonus when you register to Sloto’Cash with the bonus code CBR14FREE. Grab your chance to win big playing jackpot slots at Sloto’Cash! We have negotiated a special sign up bonus with Sloto’Cash Casino for new players registering via CasinoBonusReports.com: $14 No Deposit Bonus instead of the standard $7. This exclusive offer is available only on this site, you won’t find it anywhere else. You get $14 free to play with, completely on the house. 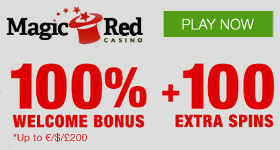 No strings attached, no deposit is needed, just spin the wheels and enjoy the games! This is your perfect chance to check out Sloto’Cash Casino for yourself and try the games for real money that costs you nothing! If you are lucky enough, you can even cash out some winnings and establish a casino bankroll out of nothing! Remember to use the $14 No Deposit Bonus coupon code CBR14FREE. See all the details in our Sloto’Cash bonus guide or claim your $14 free chips straight away!